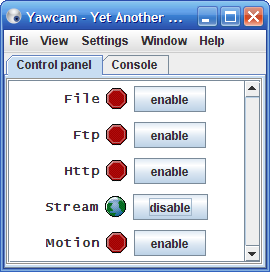 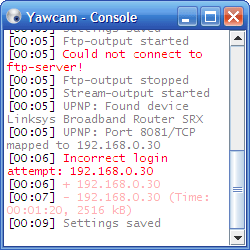 On this page you will find some screenshots from Yawcam. 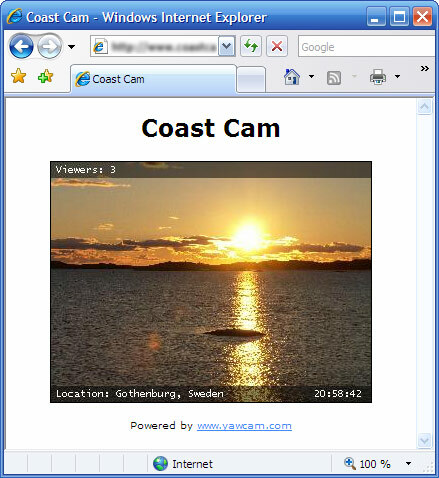 Img: Window that shows the viewers. 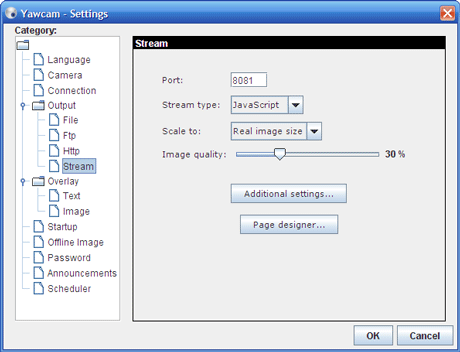 Img: This is how the image stream can look in a browser. 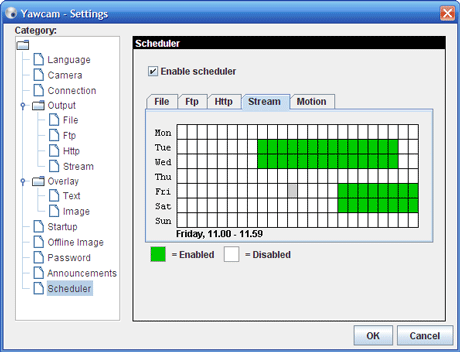 Img: A scheduler to start and stop the output types on predefined times. 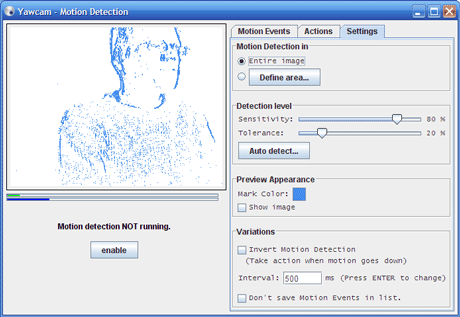 Img: Settings for the motion detection. 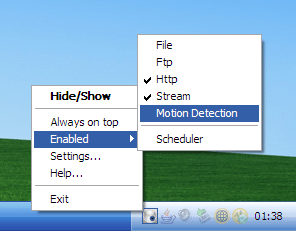 Img: The tray icon and its popup menu.